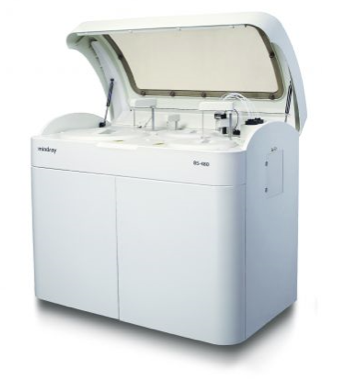 The BS-480 chemistry analyzer is a versatile mid to high volume chemistry platform with conventional software design, easy to navigate interface; creating a positive user experience in today’s fast-paced laboratory environment. The wide selection test menu includes general chemistries and electrolytes serving the need of most clinical laboratories and hospitals. Presenting the BS-480 Clinical Chemistry Analyzer, one of the most advanced and uniquely designed diagnostic tools for today’s fast paced medium and high volume lab.